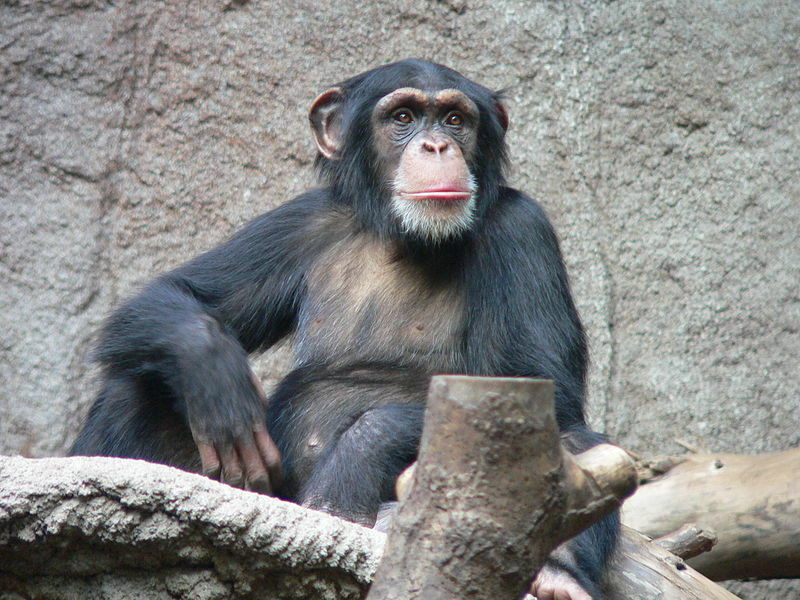 British researchers have ‘translated’ the gesture language of a group of wild chimpanzees. They identified 61 different gestures which they claim are used to communicate 19 distinct messages in total. They say this is the first time they have observed that ‘another animal communication system has meaning, not just information (or)… complicated communication, but actual meaningful communication.’ [See video HERE (BBC)]. While chimps use body language, a group of gorillas appear to use smell to communicate. A new study by British and Portuguese scientists suggests that the group’s silverback, named Makumba, smelled differently depending on the social situation. Two (rather unfortunate) smell ‘raters’ scored Makumba’s odour from ‘none’ to ‘extreme’ in various social situations, with his strongest odours coinciding with ‘high intensity’ interactions and often accompanied by loud noises and chest-beating. 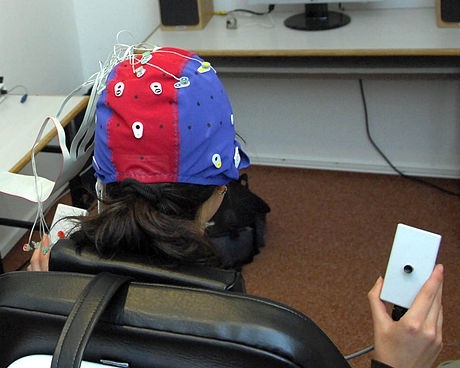 From the proboscis to the psyche: Italian scientists reckon that measuring the electrical activity in the scalp (EEGs) can help to predict how susceptible a person is to hypnosis. Hypnosis itself is still something of a mystery, but reading fourth-rate science blogs is a sure-fire way to be sent into a trance-like state. David Icke once described TV as a ‘mass hypnotist to the global mind‘, but a multinational team of researchers reckon that interactive TV can be of benefit to older people. Their study showed that using interactive TV to engage in ‘cognitive training’ led to improvements in both ‘working memory‘ and ‘executive function‘. These sorts of activities to keep the brain sharp are typically available via computer, but the researchers hoped that for older people who ‘cannot use or afford a computer’, a TV-based system would be something they would be far more comfortable with. As the peak of summer approaches (at least in the northern hemisphere), sunscreen becomes an essential for people not wishing to be turned into walking sores, but naturally-occurring sunscreens produced by some bacteria are re-purposed by shrimps to augment their vision. The sunscreen chemicals are located just behind the lenses of the shrimps’ eyes and each one absorbs UV light at a very particular frequency, allowing the shrimp to distinguish between different UV ‘colours’. [Read the full TSIC article HERE]. And no summer would be complete without barbecues and beer – and the beer could well be key to making barbecued meat healthier as well as more enjoyable: Research by scientists in Portugal suggests that using a beer marinade can actually reduce the amounts of potentially harmful chemicals in a barbecued pork loin. 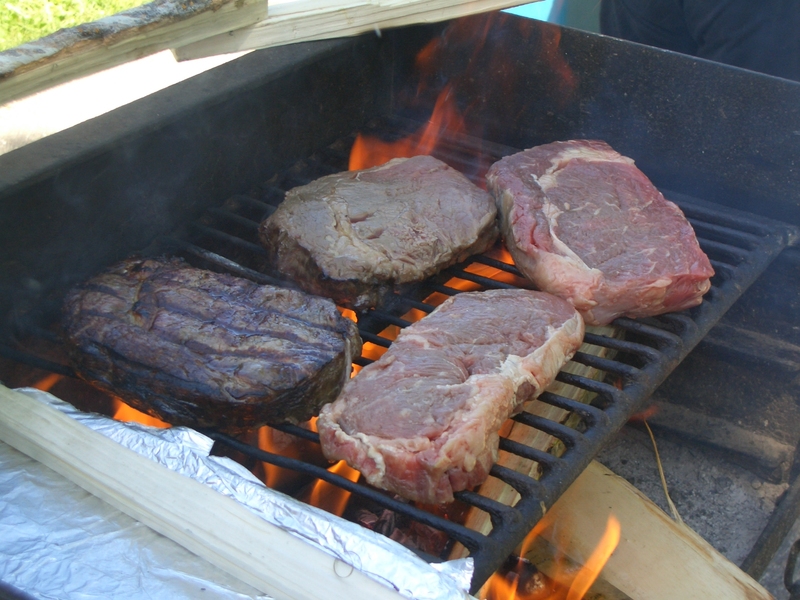 Char-grilled meat often contains tiny amounts of polycyclic aromatic hydrocarbons (PAHs), some of which have been identified as carcinogens. But beer contains antioxidants, which can prevent the formation of PAHs. After hosting many barbecues (presumably), the scientists concluded that black beer was particularly good at reducing PAH levels in the char-grilled meat. And who said science was hard work? [See video HERE (The Economist)]. Can you squeeze light? Apparently at least in the world of quantum mechanics, you can – basically it means the signal of the light when it is measured has ‘surprisingly low noise’ and so can be used in precision measurements and communication. A group of scientists from Germany and Canada have developed a new method to generate squeezed light, which is in some ways similar to noise-cancelling technology in top-end headphones. 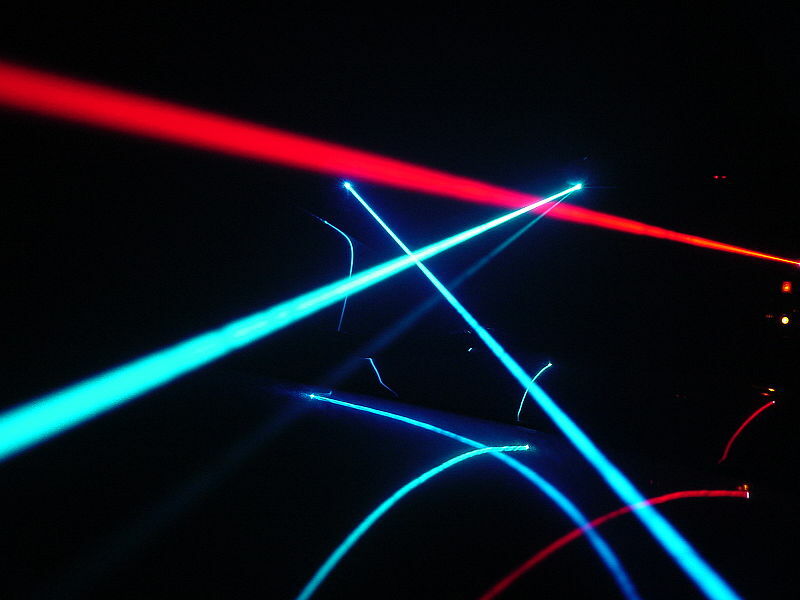 The light travels through a cavity, carrying natural fluctuations (noise), but the cavity itself is resonated by two lasers, which can be tuned to match (in reverse) the natural fluctuations of the light and minimise them. But what if you can’t afford sophisticated lasers and light cavities? Well fortunately scientists in the US have developed ‘origami-based paper microscopes’, as an ‘ultra-low-cost’ alternative to conventional microscopes that can be used by ‘schools and universities’ as well as by ‘amateur microscopists’. The ‘Foldscope’ comes with a range of attachments that allow it to carry out a variety of microscopy techniques, including fluorescence and dark-field (see picture above). [See a video of the Foldscope HERE]. The DIY approach has also been applied by a team of Indian scientists, who have turned silkworm cocoons into batteries using aluminium foil, copper wire and glue. 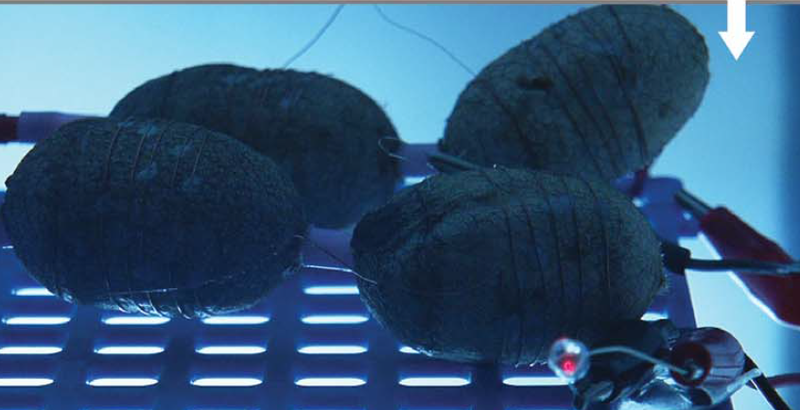 The cocoon walls provide a porous matrix for charged particles to travel through, allowing an electrical circuit to be completed and the batteries are capable of lighting small LEDs. [Read the full TSIC article HERE]. Do musicians brains work differently from other people’s? Scientists have assessed small groups of musicians and non-musicians in a variety of ‘executive function’ cognitive tasks, and in almost all areas, the musicians came out on top. When they scanned the brains of children as they performed one of the tasks, they could see several regions of the brain associated with executive function were more active in the musicians than in the non-musicians. And finally, in much more gruesome brain-related news, Australian scientists have developed a machine that can help keep a slice of brain alive for over a day. Brain slices are an important resource to help researchers to understand how small sections of the brain work, and this technique uses UV light to control populations of bacteria that will otherwise damage the vulnerable brain cells. [Read the full TSIC article HERE]. For us humans, sunscreen is something we use on holiday to avoid looking like angry lobsters with sensitive skin. But for some members of the animal kingdom who can’t just pop into the local pharmacy, making their own sunscreen is essential to protect them from the golden orb’s scorching rays. But a new study by scientists from the US has found that the light-absorbing chemicals normally used by some creatures to protect them from the sun is used by mantis shrimps to enhance their vision. This study has cast new light (no pun intended) on how these incredible creatures manipulate the light coming into their eyes to gain as much useful information about their surroundings as possible. 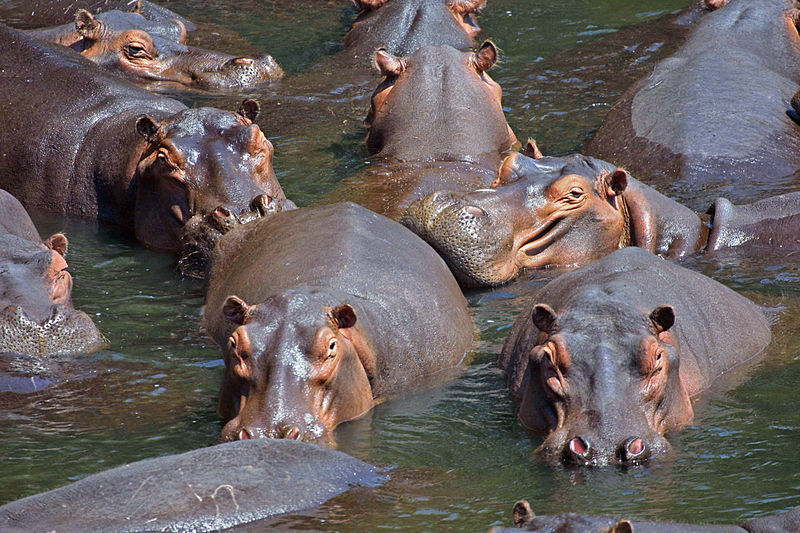 Making their own sun protection is something many organisms have to do, for instance, hippos manufacture a red mucous-like substance that they ‘sweat’ over their bodies to shield them from the intense African sun. A less well-known type of UV-protection are mycosporine-like amino acids (MAAs), which are simple molecules made by certain types of bacteria. MAAs absorb light so that it doesn’t damage important chemicals and structures inside the bacterial cells. The authors claim that eukaryotes (higher organisms such as plants and animals) can’t make their own MAAs (except in one unusual case), so the most likely way for the shrimp to get them is through their diet. The fact that MAAs can absorb certain wavelengths of light means that creatures can use them as a filter. Although they are normally used for protection, this appears to be an interesting case where their light-filtering properties have been used for a very different purpose. Shrimp (like other arthropods) have compound eyes known as ommatidia. These organs work by allowing light to stimulate chemical dyes housed in specialist cells. These dyes then change shape, kickstarting a chain of biochemical reactions that ultimately sends a signal to the brain. Light of different energies (wavelengths) are bounced off of surrounding objects and into the ommatidia, where they are interpreted by the shrimp’s brain as different colours to allow them to differentiate between the objects. Using the filters in tandem with the receptor cells allow the shrimp to distinguish between a wider range of colours in the UV range. Figuring out how the shrimp see can help us to understand more about vision in general and how creatures utilise naturally-occurring chemicals to gain an advantage over competitors. From previous work, the scientists suspected that the mantis shrimp has an ability to see certain wavelengths of UV light, and so set out to figure out precisely which chemicals within its photoreceptor cells were responsible for this. The cells were known to respond electrophysiologically to 5 different UV wavelengths, but analysis of the light-sensitive proteins (opsins) present in the photoreceptor cells found only 3 of these proteins that could respond to UV light (usually arthropods have more opsins than light wavelengths that they can see). This led them to believe that some kind of filtering system was at work, since sets of multiple colored filters within a single eye have been described in various vertebrates, butterflies and stomatopods’, which could explain how the shrimps’ eyes can respond to more UV wavelengths than their opsins should allow. So they shined a special UV light through the eye of a mantis shrimp, and saw a range of different fluorescent colours emitted by some of the individual ommatidia. 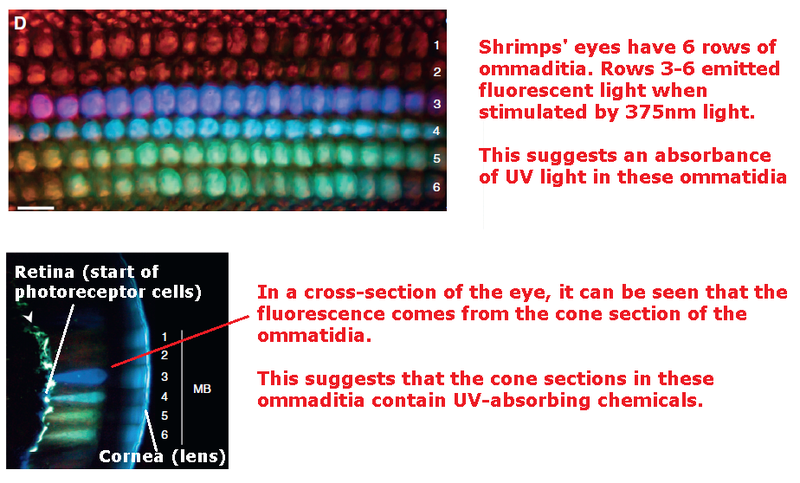 From looking a a cross-section of the eye they could see that the fluorescence was coming specifically from some the cone section at the front of the ommatidia in rows 3-6 (see picture below). This fluorescence is an indication that the UV light has been absorbed (and then re-emitted as fluorescence) by chemicals in the cones of the ommatidia. So the researchers analysed the cones to see if they could figure out what these chemicals were and modelled how they could potentially work in tandem to explain how the shrimp could see the 5 different UV wavelengths. The researchers found 4 different pigments the the cones of the ommatidia, which were each capable of absorbing a specific frequency of UV light. These pigments were found to be MAAs. 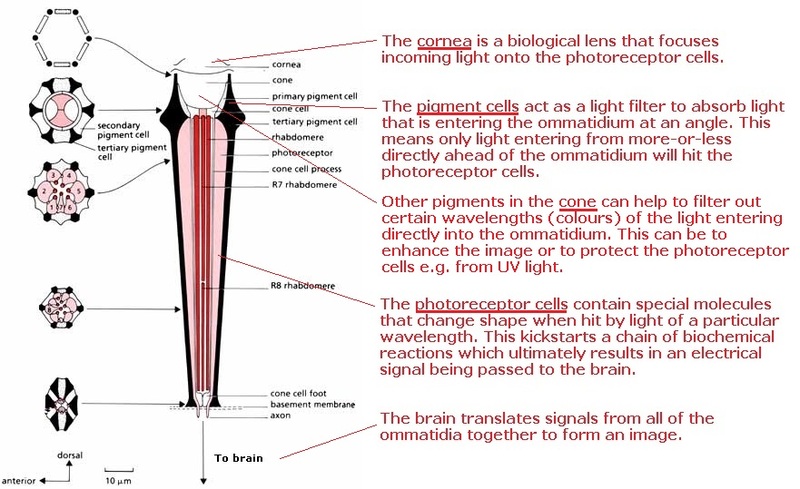 Because each row of ommatidia had different amounts of each of these MAAs, different wavelengths of UV light will be allowed through by each one to then interact with the dyes in the photoreceptor cells. In reality, both the filters and the dyes absorb a distribution of wavelengths. But if each filter blocks out some of the wavelengths that would ordinarily be absorbed by the dye, then the range of the dye is effectively narrowed. So an ommatidium with a dye that can normally respond to UV light across a range of 300-375nm, can be made to pick up more specific wavelength, such as 310 or 350nm (see diagram below). Imagine if there were two objects, 1 and 2, which reflected light at 310 and 350 nm, respectively. If the shrimp didn’t have the filters, its brain would receive the same signals from row 4 as it would from rows 5 and 6, which it would interpret as being the same colour. 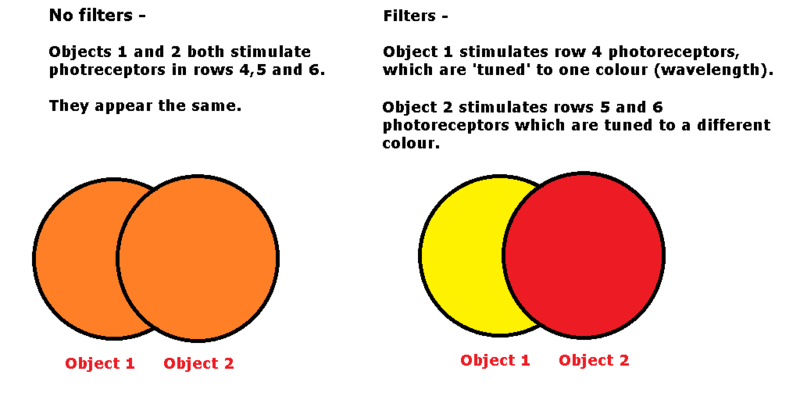 But with the filters, the ommatidia are now ‘tuned’ to different colours, so if light coming from direction of object 1 is picked up by row 4, and light coming from the direction of object 2 is picked up by rows 5 and 6, the shrimp can see them as different colours and tell them apart more easily. This study has found evidence of an ingenious method to improve vision without needing to change the fundamental chemical make-up of the photoreceptor cells: By using naturally-occurring sunscreens (MAAs) to filter out certain wavelengths of light before they reach the ‘sensing’ part of the eye. Not only does this appear to be a rather elegant method of re-purposing a group of chemicals manufactured by bacteria for a new use, but it also raises the possibility of other creatures using similar systems for their vision. What is also pretty cool is that many marine animals can’t see in the UV range, so the authors suggest that the shrimp could signal to each other covertly by using movements that reflect UV light in a particular way that they can see, but other animals can’t. From a conservation standpoint, the fact that the shrimp are likely to obtain the MAAs from their diet rather than making them themselves raises the possibility that an animal’s vision may be compromised by malnutrition – i.e. if it doesn’t eat enough of the right food, it can’t get hold of the MAAs it needs to see properly. While the mantis shrimp itself is not endangered, there may be other creatures which are at risk that are reliant on their diet to provide certain chemicals that are central to their vision. This means that changes to the food chain could affect them in ways which were previously not considered. 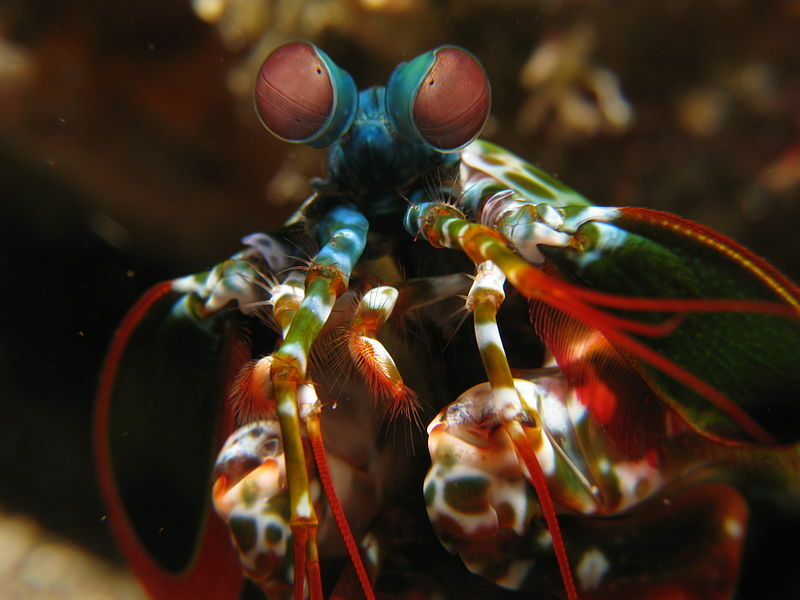 Human parents will sometimes tell their kids that eating carrots will help them to see in the dark (which is true to an extent), so maybe mantis shrimp secretly signal to their younglings using their special UV-vision, that they need to eat all their bacteria-containing dinner. In my head that’s how it works. Jar? Check. Pickled brine? Check. Slice of brain? Ch… what? It might sound like something out of a cheesy sci-fi B-movie (or indeed a Steve Martin comedy classic), but keeping brains alive is an important business for some real scientists, not just Dr Frankensteins. A team of scientists from Australia have come up with a new technique that can keep slices of rat brain alive for up to 3 days – using UV light and a cooler. While brain slices may sound like something Hannibal Lecter would put in his sandwiches, they are actually an important tool in studying how the brain works. If thin slivers of grey matter (known as acute slices) are removed from the rest of the body, it allows small clusters of brain cells to be experimented on in a tightly-controlled environment without interference from other bodily processes. 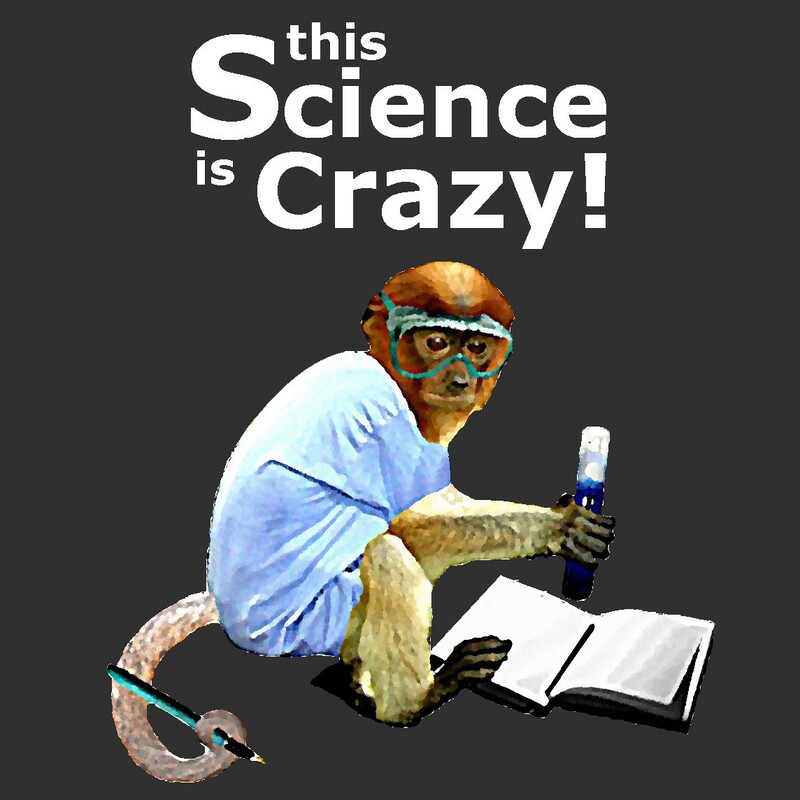 It also allows microscope images to be taken that would be difficult of impossible if the brain was whole. The method does have its drawbacks: the animal providing the sample must of course be ‘sacrificed’ (meaning euthanised, rather than killed as an offering to mighty Zeus), and the isolated brain sections will not be subject to normal biochemical and electrical stimuli and so may react differently to how it would in the body. Nevertheless, it it a technique that has arguably led to important advancements in the understanding of brain functions and the ‘molecular and cellular machinery that is defective’ in a number of neuropsychiatric diseases. However, an important limitation in the use of brain slices is that they age and die quickly – typically within 6-12 hours. Keeping slices alive for longer will mean that a broader range of experiments can be performed on them, and better data can potentially be obtained (since the cells degrade more slowly). It could also mean that more data can be obtained from each slice, so fewer animals need be killed. This is an important consideration ethically (yes, some scientists do actually have morals), and in terms of cost – both to time and to money. 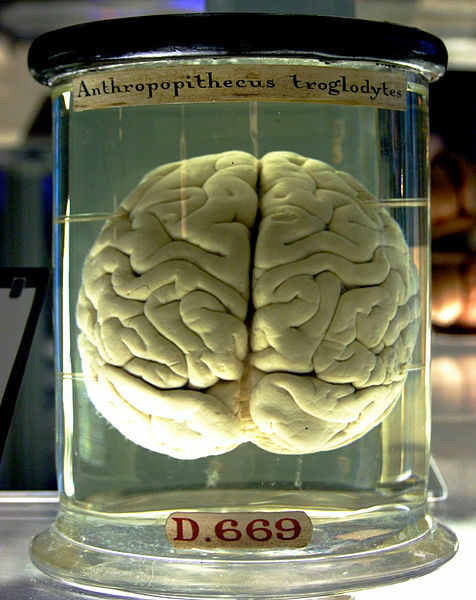 Brain slices are typically stored in a liquid (or ‘incubated in a medium’ in science lingo). Typically, the medium contains food (glucose) and oxygen in order to help keep the cells alive for as long as possible. But the researchers reckoned that bacteria could be responsible for cell death too. Unfortunately, while the medium is essential for keeping the brain cells alive, it is also an environment in which bacteria will thrive. The poor brain cells are almost defenceless against the bacteria (because they’re no longer hooked up to the rat’s main immune system), with only some glial cells able to fight them off. So they researchers looked for ways to control the bacterial population. They ruled out antibiotics, since they could also effect responses in the brain cells and therefore potentially compromise experiments. Instead, they used an ultraviolet (UV) light to hinder the growth of the bacteria. UV light at a particular wavelength (254nm) can damage DNA (by breaking double bonds in thymine residues, forming dimers). This disrupts the bacteria’s reproductive and cellular processes, hindering their ability to survive and multiply. However, while microorganisms are more susceptible to UV damage than humans, exposing the brain slice to the UV would likely cause damage to the brain cells too. To get around this, the scientists came up with a clever solution: They built an incubator (brilliantly named the ‘braincubator’) consisting of two chambers. 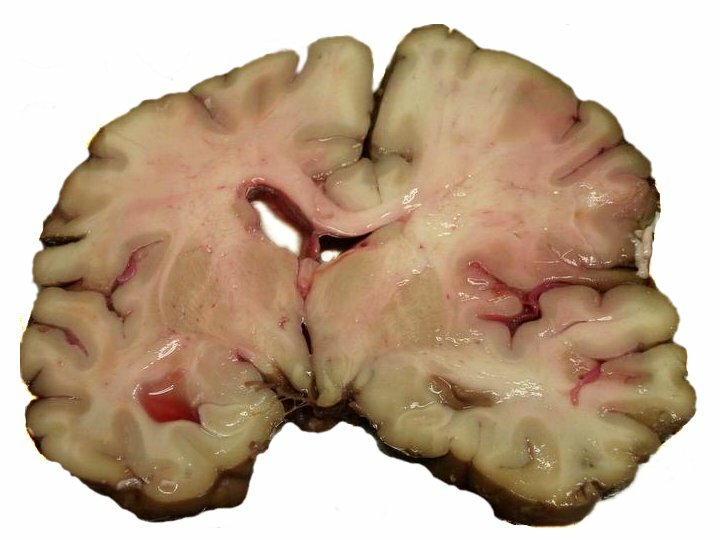 The brain slices were kept in one chamber and the UV lamp in the other, but the medium was circulated between the two. This means that the bacteria (most of which are expected to be floating around in the medium) will be exposed to the UV light periodically, while the brain slices remain shielded from it. They then kept brain slices in their ‘braincubator’ to see how long they lasted compared to slices in a regular (control) chamber. They added a fluorescent marker that indicates the presence of dead cells (it actually binds to nucleic acids, but is generally excluded from living cells by their membranes). They also counted the number of bacteria in samples of both brain slice and medium. The scientists also cooled the medium in the ‘brainculator’ to 15-16oC. Both bacterial and brain cell metabolism would be expected to slow down at lower temperatures, extending the lifespan of the brain slices. The control was kept at room temperature (~22oC). 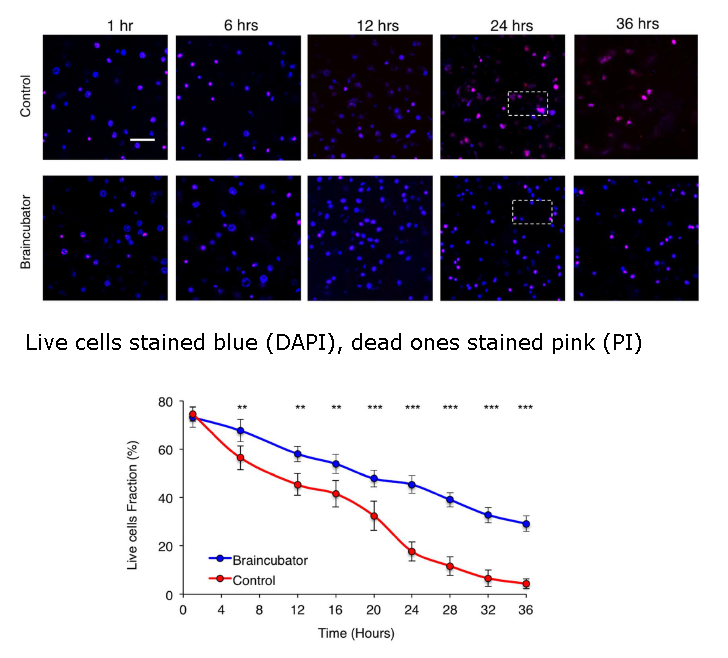 They observed little difference in cell survival rates between the two sets of samples after 1 hour (~73%), but after this time the cells in the control sample began to die off quicker than the ‘braincubator’ cells. After 24 hours, the proportion of living cells in the control had dropped below 20%, while in the ‘braincubator, it remained over 40%. After 36 hours only around 5% of the control sample cells remained viable, while around 30% of the ‘brainculator’ cells were still alive and kicking. The scientists also found that the concentration of bacteria in both the medium and the brain slices were different too, with the gap also widened with time. After 36 hours there was over 20 times the concentration of bacteria in the control slices compared to the ‘braincubator’ slices. In the medium, the control had around 50 times the concentration of bacteria than the ‘braincubator’. The ‘braincubator’ improved the survival rates of the cells in the brain slices, which is ultimately what the researchers set out to do. The fact that as the bacterial population went up, the brain cell count went down, lends weight to the idea that controlling bacterial growth was the reason for the ‘braincubator’s success. One criticism that can be levelled at this study is that while they proved that a combination of UV-exposure and cooling of the medium prolonged the survival of the cells in the slices, it is impossible to say how much of an influence each of these factors has. It would have been relatively simple to conduct a parallel experiment where either the ‘brainculator’ was used at room temperature (UV only) or where brain slices were incubated at lower temperature but no UV (low temperature only). This would allow the relative effectiveness of UV and low temperature to be told apart from one another. Of course, limited time and resources may be legitimate reasons for not conducting a further experiment and may well be an area of future study. But essentially the experiment appears to have been a success and the ‘braincubator’ is a clever solution to the problem of bacteria in the sample. Similar devices could also be used in other experiments where bacteria are a problem so it could make a difference in other fields of study too. 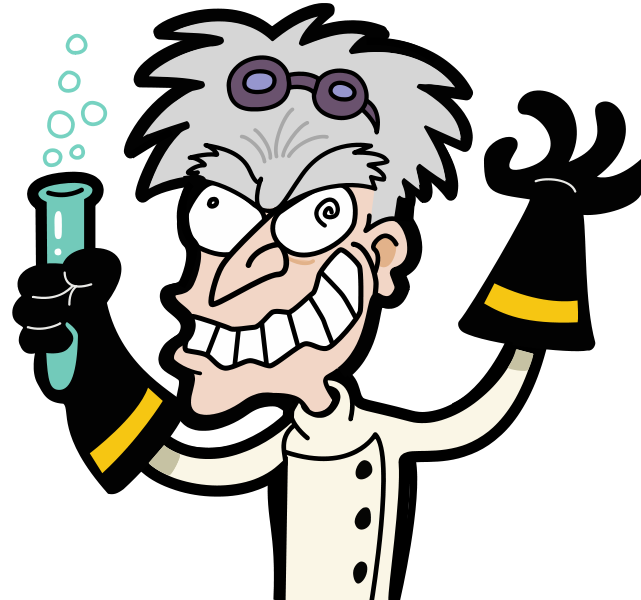 Not all scientists keep brains in jars, but for those that do the ‘brainculator’ could well prove to be a useful piece of technology for their plans, diabolical or otherwise.